Alessi’s Todo grater is the greatest grater ever! 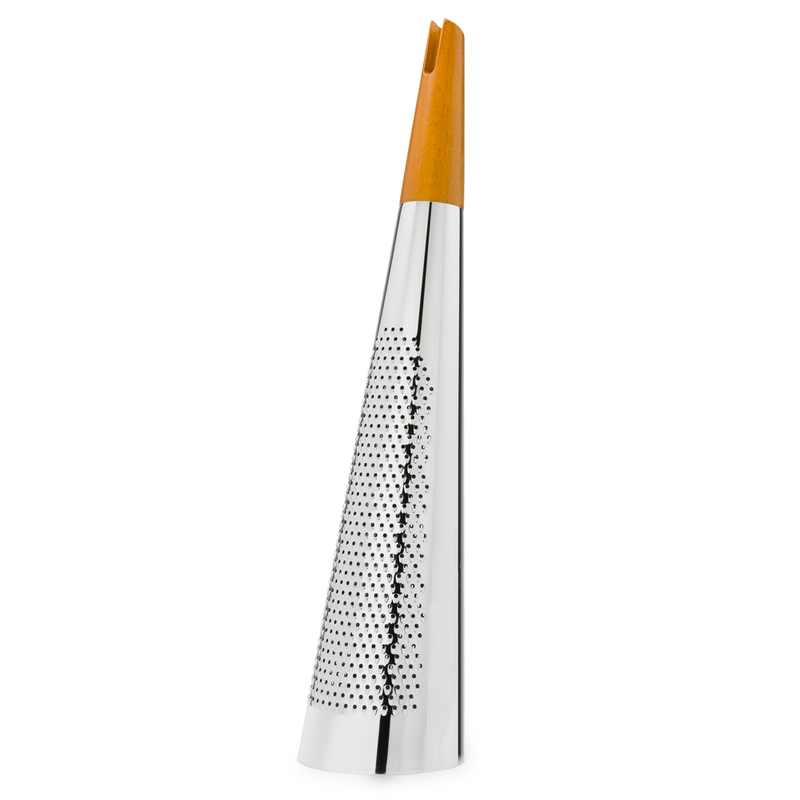 Chances are you’ve never seen a grater quite like the Todo. Not only is it certain to start many a conversation, but it makes grating cheese easy. And there’s a special section at the side so you can grate nutmeg, too. It’s grate! Made from steel with a wooden tip. May be stored hanging from a hook, thanks to a useful hole at the top of its handle.